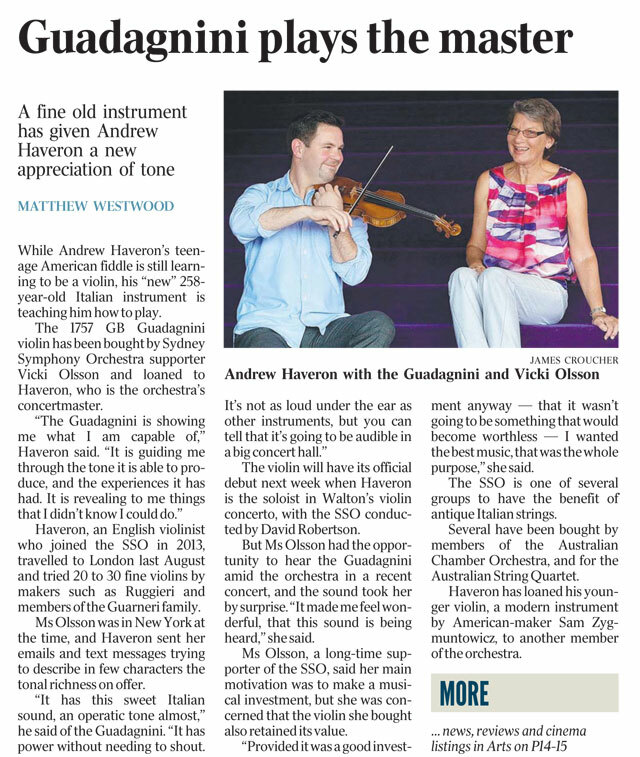 The Sydney Symphony Orchestra announced today that subscriber and supporter Vicki Olsson has loaned a 1757 Guadagnini violin to the Orchestra, to be played by Co-Concertmaster Andrew Haveron. Andrew and Vicki were both interviewed about the instrument for stories published by The Australian and the Sydney Morning Herald, which you can read online. The Orchestra was projected across the sails of the Opera House in a live simulcast. Read more about the event here. Andrew was delighted to lead the John Wilson Orchestra again for the 2013 ‘Hollywood Rhapsody’ Proms. Here’s a review from the Daily Telegraph, who enjoyed the Tom and Jerry medley, and a more detailed one from the ArtsDesk. Here’s the 2013 tour dates. Andrew Haveron is rapidly becoming the most sought after violinist in the UK. 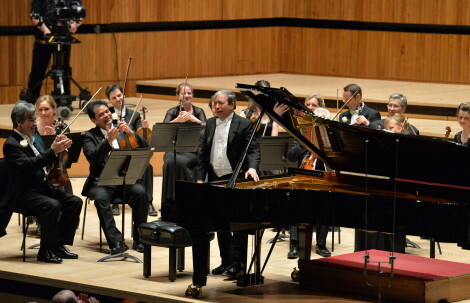 The highest British prize-winner at the prestigious ‘Paganini’ competition for the last fifty years, Andrew studied in London at the Purcell School and the Royal College of Music. 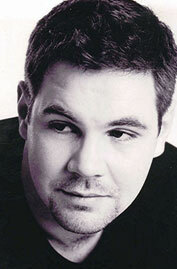 With unrivaled versatility Andrew is highly respected as a soloist, a chamber musician and an orchestral leader.